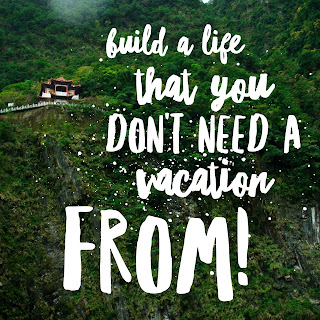 Create a life you don’t need a vacation from. I’ve heard that sentiment or something similar to it over the course of my life, but I’m not sure that I had any sort of vision for what that really means for me until this last year. I am an entrepreneur. It sounds weird to me still. The folks in my family who’ve had the biggest impact on my life, they’re not entrepreneurs. They have always had stable, 9 to 5 type jobs. Predictable income, predictable benefits, predictable schedule. I take great pride in those roots, and I hope they do too. I have had a stable, predictable (mostly…hellooooo USA healthcare system) job as a PT for a decade, but I always wanted more. More flexibility, more autonomy, just MORE. But that was nowhere to be found. As a PT, my hands are increasingly tied by insurance companies and folks sitting behind a desk following an algorithm to tell them what my patient needs. It’s maddening. Over the last 5 or so years I have prayed that God would give me something, show me some way I could use the knowledge and skills I have to truly live out my purpose. I LOVE my job as a PT, but I have never really felt like I was living my purpose in that arena. Then 2 years ago I found Young Living. Y’all. These oils have rocked my world in ways that I never imagined. I wanted to try them to boost the immunity of my kids, and they did that. Then I wanted to use them to help support us through this East TN “pollening season,” and they did that. The more I research, the more I use them, the more in awe I am of these tiny little molecules that were created by the same God who created me. I am constantly astounded at how incredibly they work in synergy with my body to improve my sense of well-being, boost my energy, and improve my mood like nothing else ever has. Then about 6 months in I realized something…I had to step back for about 2 weeks while my daughter was recovering from a tonsillectomy, and in that time I hit a new rank. Ummmmmm, I wasn’t actually working during that time. I had just set something in motion in the 6 months leading up to that, and I was still getting paid…my paycheck was actually growing…even though I had taken time off to focus on my daughter. WHAT KIND OF AWESOMENESS IS THIS?! You see, it’s not about the AMOUNT of money I can make with Young Living (although that is SUBSTANTIAL at higher ranks...you can see that HERE if you’re interested), it’s about the TYPE of money I can make. Residual income. Money that is still coming in and can pay my bills even when I have to take 2 weeks off to be focused solely on caring for my family. I don’t have to call in sick. I don’t have to sit in traffic on the way home every single day. I can work from the pool or the campground if I want to. I don’t have to worry about finding someone else who will baby my babies the way I do when they’re sick because I just can’t call in one more time. THAT is what freedom feels like. That is what freedom means to me! Will I be rich any time soon? Not likely. Will I be rich one day? Maybe. But like I said, I’m more interested in the TYPE of money I’m making than I am in the AMOUNT of money I’m making! This summer? I work about an hour in the morning, an hour in the afternoon, and maybe an hour after the kids are in bed. Otherwise, I’m spending my summer at the pool or the campground, and I’M STILL GETTING PAID. If you’ve never tried essential oils, but you’re curious about what they can do for your family, now is the time to find out! I will make sure you have the resources you need (ONLINE! It's all archived for you...NO need to come to classes or parties because seriously, WHO HAS TIME FOR THAT?! ), and I’ll be your personal guide as you learn exactly how you can use them in your home. Join my team! Just go to http://leslietummel.myoilsite.com to learn more about these oils, then follow the instructions to "Become a Member." Don't freak out. A member only means that you've snagged an incredible starter kit and are getting a 24% wholesale discount for a year. NO strings. NO required autoship. NO penalties if that membership lapses after a year. Just the opportunity to buy incredible products at a discount for the next 12 months! Okay, maybe you aren’t interested in the starter kit, and need more custom suggestions for your family. Call or email me, and I will help you brainstorm how you can get exactly what you need, at the price point you want to pay! Maybe you feel stuck where you are. Maybe you feel like there is something more for you. There IS! God did not create you to be ordinary. He created you to be extraordinary! What does extraordinary look like for you?! I can’t tell you that, but I bet if you take 10 minutes to reflect on it, you can come up with some ideas! Are you interested in the Young Living business opportunity? Once you’ve gotten your membership, we can schedule a time to sit down and talk about how you can share the goodness with everyone you know! Truth is, even if I wasn’t getting paid by Young Living to promote their products, I would still tell the world how amazing they are because they have changed my life in SO MANY positive ways! We've seen happy and supported immune systems, happier kids (and MAMA) because of healthy sleep patterns, better support of all those normal aches and pains that come with not being a teenager anymore, and so so so much more. 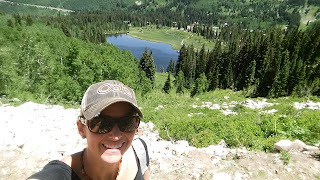 I want EVERYONE to have this same experience of a happier, healthier life! Further, there is an opportunity to turn this into a business...a REALLY successful business! 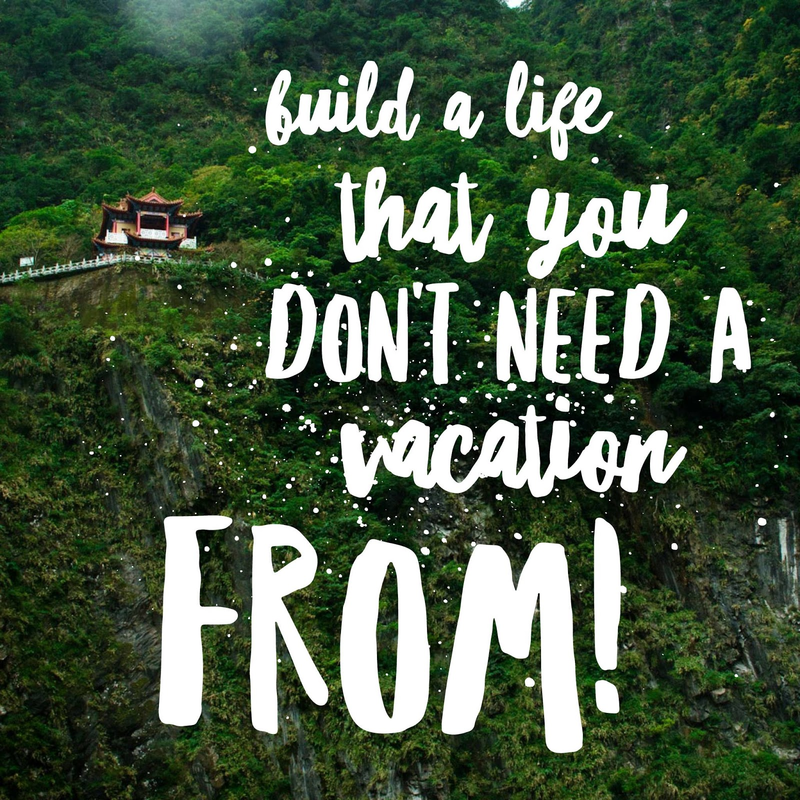 Think about what your life would look life if you could ditch the 9 to 5…It IS possible, regardless of what you might believe right now (or what anyone in your family tells you to believe)! Tell me, how would you feel knowing that you could work from home, be there for your family when they need you, and STILL bring in a substantial paycheck? How would your life be different?! I can teach you how to make that happen. Join me! CLICK HERE to join me on this journey, and get access to our team's EXCLUSIVE online resources!!! The first thing that comes to mind when I think of Mother's Day is my grandmother Hall. Every year of my life, we dressed in red (her favorite color), and went to visit for the day. It was so very all about my grandmother that I don't even REMEMBER honoring the other women in my life who were so very important to me. I don't even remember honoring my own mother, but I suppose my dad made sure that I did that in some way. My mom died when I was 15. That's when it all got weird. Visits with her family felt awkward, forced even. I'm truly not sure that anything had changed other the fact that my mom just wasn't there. There's something about having a parent with you (no matter how old you are) that is just comforting and familiar. Once my mom was gone, NOTHING felt familiar. We tried to hold it together for a few years...we made it a little over a decade, actually. But Mother's Day had turned into an obligation for me. It was just a day that came and went every year, a painful reminder of who and what all I had lost. Then came my personal struggle to become a mother. And THAT changed the way I will feel about Mother's Day for the rest of my life. My husband and I went through about a year of fertility treatments. We had great insurance that covered everything except IVF. So, we did everything except IVF. It was the most insane roller coaster I've ever been on. My hormones were so completely jacked up that I didn't know who I really was anymore. I was so very hopeful EVERY SINGLE MONTH that I would find out I was going to be a mom. And that positive test never came. It was devastating, and it nearly destroyed our marriage. Does your church do that thing on Mother's day where everybody who is a mother gets a flower? It's sweet, really. But it was so so very painful for me. I sat through one service the year we were going through fertility treatments and I vowed to never go back to church in the month of May ever again. It nearly destroyed me, seeing everyone around me getting flowers when I SO desperately wanted what they had. And really, I think the flower thing would have been okay, except for the fact that NOT ONE SINGLE TIME did the pastor or anyone else mention those of us in the congregation who were struggling with infertility or might have experienced the loss of a child. I KNOW it was not an intentional slight on their part, but I felt so small, so insignificant, so painfully aware of that ache in my soul. And I wanted to run away and never come back. As for Mother's Day, my grandmother is gone now, and I don't really see my mom's family much at all anymore. It still feels weird for me to celebrate Mother's Day, and I STILL don't like going to church that Sunday. Those of you who are hurting and wanting so desperately to be a mom, please know that on Mother's Day, I STILL hurt with you even though God has answered my prayers beyond anything I could have ever imagined. I see you. I feel your pain. And you know what? I hope I always do. I hope I always remember the hurt and hard times on my journey because those shadows are what serve to provide such a beautiful backdrop to the bright times. Bright light without darkness is glaring. It's unpleasant, and so blinding that you can't see anything for what it really is. But bright light defined by the shadows of heartbreak and pain is BEAUTIFUL. It allows you to have perspective, and to see things for what they are when the bright parts come. 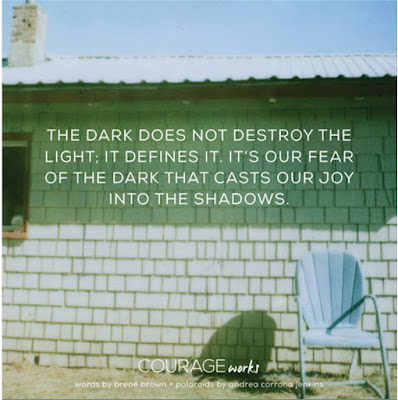 Take heart that the dark time you're walking through right now, painful as it may be, is merely serving as a defining shadow for a really bright part of your life. It's the dark before the morning! So, to all of you out there who are a mom or ever will desire to be one, I SEE YOUR MAMA HEART, AND IT IS SO BEAUTIFUL! Happy Mother's Day! That's the real answer to "where have you been?" I've been adjusting to being comfortable in my skin right now. I'm not talking about the bags under my eyes or the extra 10 pounds, I'm talking about the "this is who I am and this is what I believe in but you don't have to like it or agree with it" attitude I've adopted. Have I seen some relationships fall away? Definitely. Was it worth it? Absolutely. Does everyone have to feel the same way I do? Heck no! I wouldn't want them to. Well, without further ado...here ya go. I've hesitated to write this post. I don't want to sound ungrateful. I don't want to sound like I've forgotten what an incredible gift we've been given. I promise, neither of those is true. I am FOREVER grateful to Asher's birthparents for the choice they made. The choice of life for him. The choice to allow us to parent a child and raise him according to God's plan. I will NEVER forget what a miraculous gift our little man is, and I hope I never cease to make sure he knows that too! Being a mommy is hard. Sometimes really hard. I love it...I love to kiss those chunky little cheeks that are mine all mine, to stare back at him as he stares at me, and to do all sorts of crazy things just to make him smile and laugh. It's wonderful. Wonderful and hard and crazy love and overwhelming all at the same time. Asher is an easy baby. He's always been a good eater and good sleeper. We worked really hard early on to teach him how to soothe himself and to get him on a schedule (holla Babywise! ), and it has paid off big time! He's happy most of the time, naps well most of the time, eats like he'll never have another bottle ever again, and sleeps at least 10 hours at night. What more could a momma ask for?! Nothing. He's perfect. Absolutely perfect in every way. God's perfect little miracle that's mine all mine. So, you're wondering what's my problem? For starters, I'm a perfectionist...to a fault. Yeah, I know, I learned after about 2 days that perfectionist and mommyhood don't go well together. That's been a real struggle for me. When I was on maternity leave, I felt like I should have the house cleaned, baby taken care of, and dinner on the table when Josh got home at night. After all, I wasn't working outside the home...I was here. ALL. DAY. LONG. But I was so tired and learning a new routine. I chose to take care of myself instead of doing my chores. I would go back to sleep in the morning when Asher did...sometimes I didn't officially "get out of bed" until 11 or later. So by the time I changed my clothes, fed Asher every 2 1/2 to 3 hours, washed his bottles, did his laundry and sometimes fed myself, my day was gone. And I got NOTHING done that was originally on my to-do list. That was rough. I ended most days feeling worthless. I was so ready to go back to work when the time came. I LOVE my job. I've always loved what I do, so I never really wanted to be a stay at home mom. Kudos to those of you who are called to do that. I am not among your ranks. For a long time, I felt really bad about that. I felt like I was not a good mom because I had the opportunity to stay home and chose to work part-time. Then I realized that being a Mommy is not about giving up who I am to take care of my son (or feeling guilty because I know my strengths and play to them, instead of pretending I'm something I'm not) . Have I given up some things? Sure. Is it worth it? Absolutely. Would I give up everything if I needed to, just to make sure Asher is okay? Without question. But have I forgotten me in the mix? Should I? Did some magic metamorphosis occur the second I held Asher in my arms that made me forget all the things I have loved and enjoyed my whole life? Nope, nope, and nope. Shoo, I'm glad I finally got that out there. I hope this is helpful is some way to all you new mommies out there! Mom life is hard. Just do you, do your best, love that baby, and tell everyone else where to go if they think your house, your hair, or your life is too messy. ;) Oh, and NEVER EVER apologize for your choices, and NEVER EVER allow yourself to feel pressured to explain why you're staying home, why you're working, or why your toddler hasn't changed clothes in three days! So, it's been 3 1/2 years since I've written publicly. I could list everything that's happened in that time frame to explain where I've been. I could tell you I've been busy, overwhelmed even. 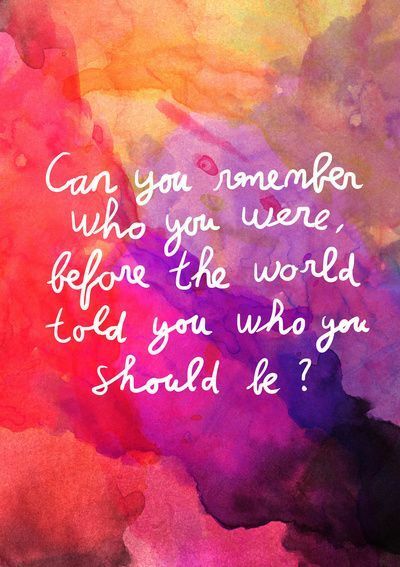 That I've been trying to find myself or remember who I am. That I've been building a business or spending time with my family. While all those things are true in some capacity, that's not the reason I haven't written. I believe there are periods in all of our lives when God is working on us, transforming us, shaping us into something that more beautifully reflects His image while at the same time allowing us to be broken and pieced back together so that His grace and mercy and goodness can pour out from our broken places into the lives of those around us. That's where I've been. Learning. Studying. Hurting. Growing. Being broken then repaired. Accepting of grace and mercy and goodness that I absolutely do not deserve. It's hard to write when you're in that place. It's confusing and often disorienting. But if you're willing to stop and listen, if you're willing to be teachable no matter how hard it is, you will learn more about yourself and your God than you ever thought was possible. I still have so much more to learn, so much more to study, so much more to grow. But it's time to write again. I have too many things on my heart that need to be poured out into words, sentences, and paragraphs. And one thing I know to be true is this...if it's important to me, it will be important to at least ONE of you. So, welcome back, dear readers (are there any of you left?!) Let's get this party started again! Well, it's clearly been a year and a half since I blogged. I could lie and tell you that I'm going to catch you up with a bunch of pictures, but I'm not. I don't have that kind of time. You'll just have to come visit and look at my photo albums! What's truth is that we have been BUSY, and life has changed...A LOT...since the last time I blogged. I was in a bloggy funk last year for a long time. Why? Because being a mom is HARD! No one tells you how exhaustingly fabulous it really is...or maybe they tell you, and you just can't wrap your head around it until you live it. And I think that because of our struggle with infertility and the incredible blessing we received in our son, I felt guilty. Guilty for having those "I am so exhausted that I can't even see straight...I want my life back!" thoughts. Because this is what I prayed for. I prayed for the crazy, the exhaustion, the joy beyond measure. The truth is, that little guy is my SUNSHINE. His smile makes this I-am-not-a-morning-person mommy want to beam from ear to ear every morning when I heard him holler for his Daddy between 7 and 7:30 (he can say Mommy...he just doesn't...unless his Daddy makes the tragic mistake of telling him "no" one too many times). That doesn't change the fact that sometimes I still want to take a solo tropical vacation where I have no responsibilities and no one even speaks to me. ;) So, I didn't have anything to say during those months...or, I did, but I was afraid of the judgment I would get for speaking my truth. I am in a different place now. Physically, mentally, emotionally. I have learned a lot about myself in the last year and a half. A lot about my marriage. A lot about my God, who never ever stops pursuing me even when I'm way too tired to utter more than a "Thank you that your mercies are new every morning. Thank you for this blessing, and please help me not screw him up too bad. And please help me survive until Josh gets home from work. Amen." Disclaimer: This is our truth. Our story. While I might be writing it here on my blog, God is our author. He has blessed us more than we could ever imagine. I'm not asking you to agree with my theology, or even to believe what I believe. I'm asking you to read our story, and if you dare, ask God how he wants to write yours. Terrifying? Yes, it is. But it's also beyond incredible when you can let go enough to say "YOUR WILL BE DONE." If you're just now tuning in, and haven't read Asher's story, please take the time to go back and read it. That's where God's authorship for this season of our lives begins. When Asher was 6 months old, Josh and I felt strongly that we should start praying for the next child God would have us adopt. We asked our friends and family to pray with us...not knowing who this kid would be, how old she would be when we saw her for the first time, not knowing anything at all. So, we prayed for her. Prayed that God would protect her from whatever she was being exposed to before we could scoop her up and protect her from the ugly of this world. That he would protect her physically, emotionally, mentally. That she would know how much she was loved by us, even though we had no clue who she was or where she would come from. I felt so desperate when I was praying for her, and I had no idea why. Life went on, and we continued to pray for this child (and, of course, for our little man!). Fast forward to December 3, 2011, the day the little dude turned 11 months old. I got a text that Sunday morning from Asher's birthmother, N, that said "Call me when you can. We need to talk." Josh jokingly said "What if she's pregnant? What will you say?" I told him that he was nuts, but that if God wanted us to have another baby so soon, I was all in! But, really, I was just thinking she wanted an update on him because we hadn't heard from her in almost 6 months. I ended up talking to her for over an hour and a half about everything that had happened in her life since Asher was born. It was less than pretty, to say the least. But, that's not my story to tell. So, a friend of mine made Asher a shirt to wear for Christmas saying that he was getting a sister in April. Our families were SHOCKED and thrilled for us! We were excited about planning a nursery for a baby GIRL, and about having not only adopted siblings, but birth-siblings that could grow up together! Then we found out a week after Christmas that Josh's job would be bringing us back home. We were so so sad to leave Chattanooga, but so happy that we would be able to raise our babies near their extended families. Leaving Chattanooga was one of the most bittersweet times in my life, and one of the hardest decisions we've had to make since we've been married. But, God opened all the doors for us to move home, and closed every single one that would mean for us to stay, so we really had no choice...we learned a long time ago that saying no to His will never really ends well! Then I started to panic...we didn't have a place to live, and to do a home study for an adoption, you need a HOME!!! As always, God provided. 2/3 of our earthly possessions we put into storage and moved into this itty bitty rental house. Nice house, but itty bitty for 2 adults, 2 kiddos, and 2 furbabies! Still, I am thankful. We made it through the home study (talk about incentive for unpacking boxes!) about a month before baby girl's due date. That's around the time that the craziness began. Perhaps I'm a little TOO type A. God has been trying to teach me for years to just stop it, and leave the planning to Him. I'm a terrible listener....and apparently a slow learner....and a quick forgetter...I'm human, after all! I digress. Our church had a service about missions early in the spring. I don't feel called in any way to be a missionary overseas or here in the states. But, I do feel that God has called us to share our story of infertility with anyone who will listen. We would both hate to think we have walked this road in vain, and we want others to know they are NOT alone! So, I prayed that God would use me, use our story, to touch someone else's life. Satan hasn't stopped attacking my family since then. But, you know what I have to say to that? Tetelestai...IT. IS. FINISHED. It doesn't matter what trials come my way in this world, Jesus paid my debt in full on the cross. With his sacrifice there, he won the war. Now, I just have to remember to STOP FIGHTING the battles that have already been won for me....maybe someday I'll learn? You'll see in this story that I haven't fully absorbed that lesson yet. But, I'm a work in progress. And I'm so very thankful that God's mercies are new for me every morning! A little more background: N told me in our conversation on December 3rd that she had been using narcotics throughout her pregnancy with baby girl, but that she was currently clean. Oh, well that explains why I felt so desperate when praying for this baby girl! We met her on Christmas Day to give her gas money to get to her doctor's appointments the next week, and she got to see Asher for the first time since he was born. My gut was saying that we shouldn't have let her see him. But, my Mommy heart won out, and I was afraid she would change her mind about baby girl if we didn't show up. So, we let her see him. She took a picture with her cell phone, and that is something I would really REALLY come to regret letting her do. Around mid-March 2012, a friend texted me and asked why Asher's birthfather had a picture of him on his facebook page (the picture I let N take with her cell phone on Christmas day)...and why did the caption say "Asher...mine." Um...wha?! So, I looked this guy up, and sho 'nuf, there was the picture! BUT, I didn't know this guy. Never heard of him. He certainly wasn't the guy who claimed to be Asher's birthfather and signed his rights away. So, I freaked out...then I got mad...then I freaked out some more. Then I thanked God that Asher was too little to know how mad I was, too little to understand what this could mean, and I prayed that I wouldn't do anything too stupid (i.e. land myself in jail for beating the living crap out of N or this random guy...who I later found out was her drug dealer.) Then I decided that I could just leave the country with Asher, and it wouldn't matter if this guy tried to come after him...he would never find us. All of this in about 45 seconds...so, Josh told me to take a deep breath (and that I watch too much TV...point taken). So, I breathed, and cried, then I got mad some more. Then I got to making phone calls. Calling in favors all over the planet to find out this guy's and N's deepest darkest secrets. Believe me, I am one of the kindest people you will ever meet...but NOBODY messes with my babies! Especially nobody who is using them as a pawn in a manipulative game with their drug dealer. This mama don't play like that! So, I found out more than I ever wanted to know, and filed that info away as my ace in the hole. I was terrified of drug dealer boy...he was claiming (via his facebook page) that he was coming after Asher and wanted to be part of his life. IF this guy was really his birthfather, he hadn't yet signed his rights away, and technically, he could do that...he could file a petition to terminate our rights and gain sole custody of MY baby boy. To say I was a basket case would have been the understatement of the century! So, I called N. We had a come-to-Jesus meeting about my family, our rights, our privacy, and the lengths I would go to in order to protect my son. I think she got the message loud and clear, because she was sobbing hysterically when we hung up. Was that my best moment? No. But, apparently I hadn't made that boundary clear before (even though I had tried to do so very diplomatically), and she needed to hear it in street speak before she finally understood. After that, she called MY lawyer and confessed all her sins...that she had slept with the dealer too, and he could have been Asher's father. Side note: I hate drugs. I really hate narcotics. I hate the control that they have on people, and the lengths people will go to get them. Long story short, I demanded a paternity test for both Asher and baby girl. To be performed immediately after her birth. I was prepared to go to war, pending that the findings were that the drug dealer was their father...and only time would tell. The day my sweet Piper Marie was born, April 10, 2012, was a great day! She was 7 lbs, 10 oz, and 20.5 inches long. Perfectly healthy baby girl! Seeing her miraculous birth (I got to cut her cord too! ), and recognizing that we were now a family of 4, the chains of worry and stress and fear that had bound me for the last month suddenly disappeared. I told Josh that I couldn't live in fear of drug dealer boy anymore (he had refused to return our lawyer's phone calls re: paternity test up to this point...which just fueled my fire of fear, doubt and worry). So, I obtained his phone number, and I *ahem* called him from the hospital while the sweet nurses were cleaning my little P up after birth. I'm pretty sure he was beyond freaked out to hear from me. Good. I like it that way. We had a lovely chat...truly, it was a good one. He explained that he was in no position to be a father, but that his dad left him when he was really young. He just wanted to know, if they were his kids, that they were okay, and he wanted them to know that he loves them even though he couldn't take care of them. Okay dude, that's fair. But, let's be honest...get yourself to the testing center! But, I still couldn't let my guard down completely. I needed to know who their father was and put this to rest, once and for all! We had to stay in the hospital 5 days with P because of her long-term exposure to narcotics in utero. Thank God that He was faithful to protect her, and her withdrawals were minimal. She has very little lasting effects from the exposure, and we KNOW it was because we begged God to protect her all those months that she was being exposed when we didn't even yet know who she was! We took the kids for DNA testing 2 days after we left the hospital with P. Several weeks passed before drug dealer boy gave his buccal swab sample. (I was just gonna say sample, but that has a whole other connotation, no?) Maury declared that he was NOT the father...hallelujah! B, who signed his rights away to Asher after birth, was the father of both kids. And, he happily surrendered his rights to Piper. Praise the Lord! Once that was all done, I sat on the couch while both kids were sleeping and just wept. Tears of relief that it was over, tears of joy, tears of thankfulness for God's provision, and tears for my stupidity that I thought he might not pull us through this time. I really SHOULD know better by now. But, like I said, I'm a slow learner and a fast forgetter. This lesson has been a bit more permanent though...I won't quickly forget how he sustained me when I thought I would lose my mind, or how he protected our family from what could have been complete chaos and destruction. I will forever be thankful for that! I know that seems like quite the anti-climactic ending for such a soap opera style story. But, believe me, we were beyond pleased at the outcome, and so thankful for how God protected us (and that the people I love...and who love me...kept me from doing something that I would really regret later). Little P's story doesn't end there. There is so much more to say, but I'm not sure how much to write just yet. God is still working, and I am so so thankful for that! We are beyond blessed to have 2 gorgeous (okay, I'm biased), healthy children! And Asher is so entertaining these days, that I didn't seem to notice the lack of sleep as much this time around...I was too busy trying to make sure he didn't break something important...like his neck. At the time I'm writing this, he is 19 months old, and she is 4 months old. They are both beyond perfect. They are happy kiddos (most of the time), and they are truly our sunshine! I thank God for them every day! I would love to post lots and lots of pictures, but I have decided not to do that anymore on my blog. I want to protect my children from as much as I can, but I have decided to keep my blog public so that others can read our story. So, I will post pictures on my facebook page, where I can limit and control who sees them. Thank you for understanding! Anyway, the point of all that rambling is to say that since I've been back at work, I feel like I'm in a bit of a conundrum. In an unfamiliar and familiar place all at the same time. I've been struggling with what exactly it means to be a wife, a mommy, and a physical therapist. Because I love all THREE of my jobs, sometimes it's hard for me to strike a good balance. Thus, lots of reflection and lots of words swirling around. HOWEVER, I have a sick baby on my hands, and between the bottles, breathing treatments, and settling down a fussy little man, this mamma barely has time to eat, sleep and shower (sometimes the latter must wait until there's an extra set of hands in the house...I feel like we have an itty-bitty baby again!) So, the blog posts will have to be late entry and you're just going to have to forgive me. I'll leave you with some cute pictures to tide you over though! He's really getting a cute personality, and LOVES laughing at his Daddy! This sleepy boy sure does love his Daddy! "Hey lady! Can you stop it with the camera flash please?!" This blog is where I share my perspective on this thing we call life.That perspective is colored by a lot of love, and a lot of heartbreak. Some say I'm jaded. I say I'm a realist who refuses to back down about a topic I'm passionate about. I am a believer in natural health solutions, and I'm also a believer in excellent medical advice from someone who actually went to medical school. Yes, it's possible to believe in both of those things. I believe if the church were to step up and handle the business of adoption and foster care, we could change the world. I'm on a mission to make that happen. I started this blog a decade ago; I've come a LONG way since then. A quick look through the posts will reveal my evolution. 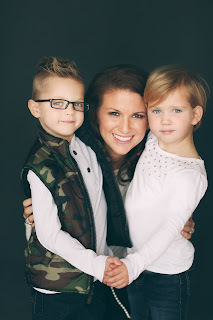 I am a PT by degree, and a mama, wife, daughter and sister by God's design. I fell backwards into a business with Young Living Essential Oils, and now I'm on a mission to educate and empower every person I meet to take charge of their health, naturally! Get email updates every time I blog!